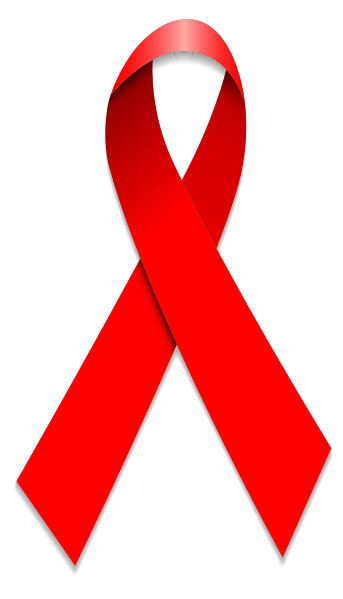 Fenway sent a team of five scientists and researchers to the International AIDS Conference in Amsterdam, Netherlands. Led by Kenneth H. Mayer, M.D., Medical Research Director and Co-Chair of The Fenway Institute, the team presented research on syndemics, strategies to overcome barriers to care for transgender people, ways to expand access to PrEP, and the use of digital technologies to stop HIV. 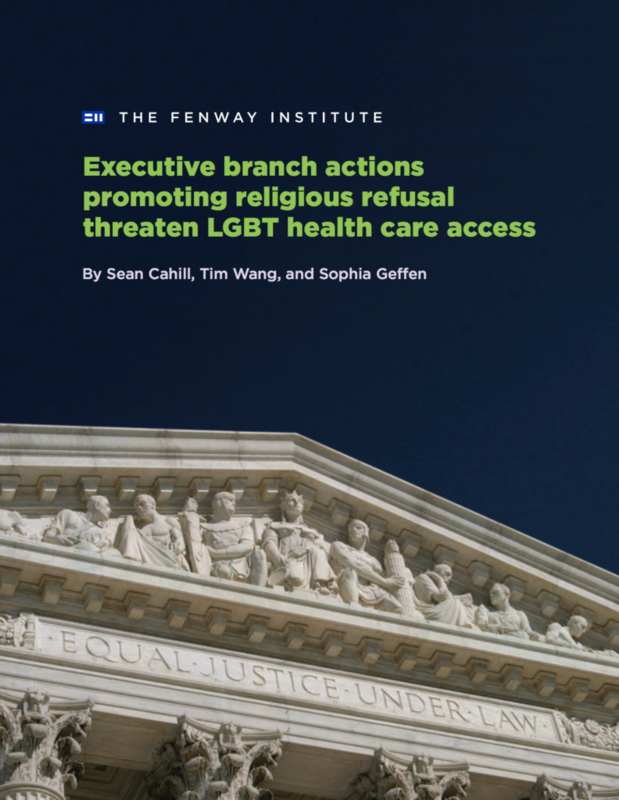 The Fenway Institute released “Executive branch actions promoting religious refusal threaten LGBT health care access,” a policy brief examining the potential impact of executive actions taken by the Trump Administration that articulate a right to refuse services to others on the basis of religious beliefs, and to refuse to hire people for programming paid for with federal funds based on religious beliefs. 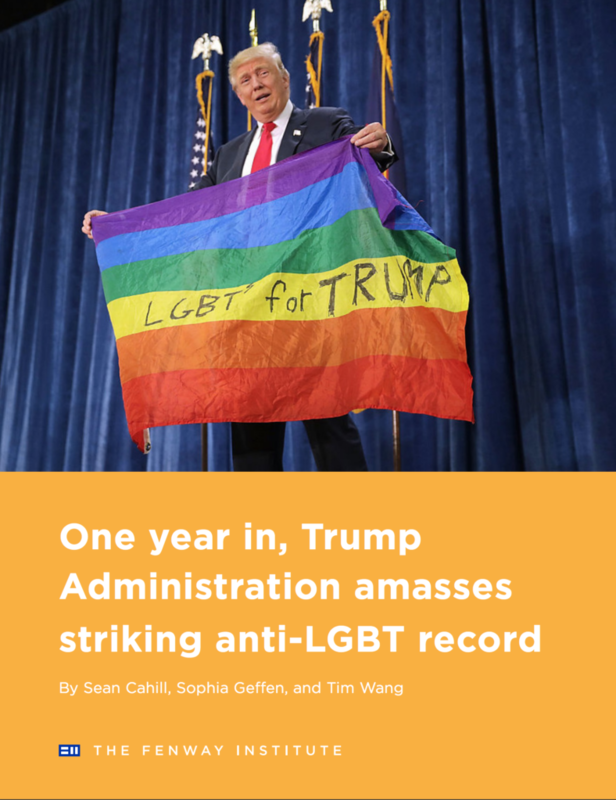 The Fenway Institute released “One year in, Trump Administration amasses striking anti-LGBT record,” a policy brief cataloguing the judicial appointments, support for anti-LGBT religious refusal regulations, and absence of leadership on LGBT- and HIV-related issues that marked the first year of the Trump Administration. 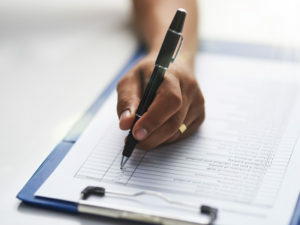 Fenway submitted public comment to Office of the National Coordinator for Health Information Technology on the agency’s Draft U.S. 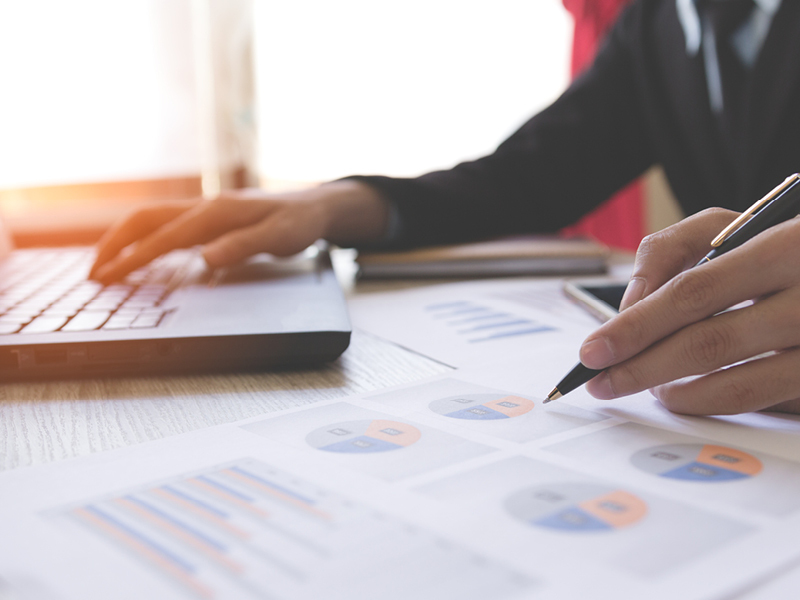 Core Data for Interoperability (USCDI) and Proposed Expansion Process.” Fenway urged the agency to include sexual orientation and gender identity standards in the list of required data classes for the U.S. Core Data for Interoperability Version 1. 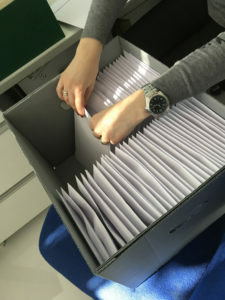 Fenway submitted public comment to the U.S. Department of Health and Human Services on “Agency Information Collection Activities; Submission for OMB Review; Comment Request; Revision of Existing Data Collection; National Longitudinal Survey of Older Americans Act Participants (NLSOAAP).” Fenway expressed strong support for the agency’s decision “to continue to collect information about program participants’ sexual orientation” but urged to the agency to reconsider its decision to drop gender identity questions from the national survey. 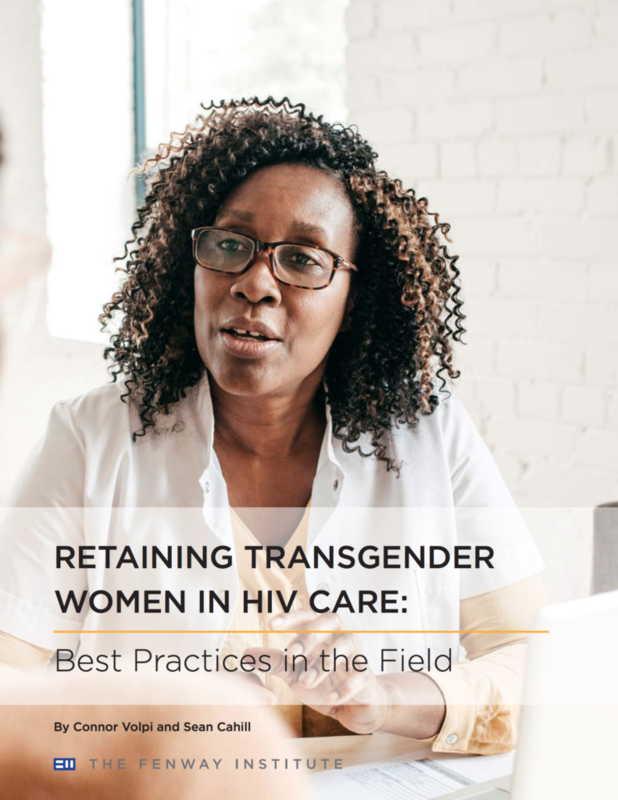 The Fenway Institute released “Retaining transgender women in care: Best practices in the field,” a policy brief for clinicians outlining provider best practices and innovative programs that result in higher rates of adherence to prescribed treatments among transgender women living with HIV. 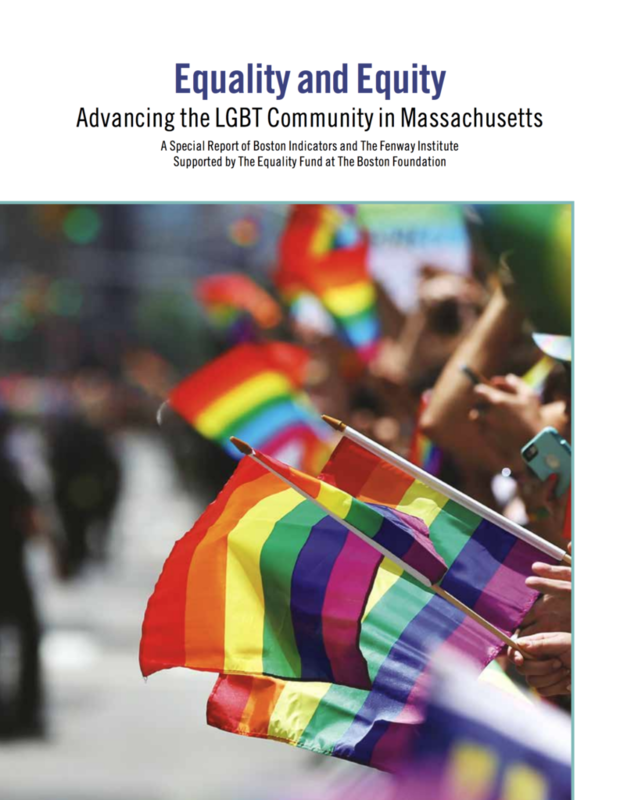 The Fenway Institute and Boston Indicators released Equity and Equality: Advancing the LGBT Community in Massachusetts. The first-of-its-kind examination of the LGBT community in Massachusetts is based on public data, existing research, and interviews from listening sessions. Sean Cahill, PhD, Director of Health Policy Research for The Fenway Institute, participated in a Congressional briefing organized by the American Psychological Association on the scope of new federal policies that seek to restrict LGBT people’s access to healthcare. Kenneth H. Mayer, M.D., Medical Research Director and Co-Chair of The Fenway Institute presented on antiretroviral therapy as prevention and pre-exposure prophylaxis at the Chennai ART Symposium in India. 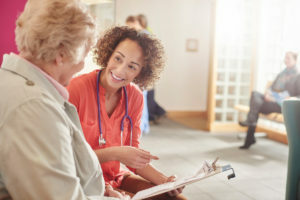 Massachusetts lawmakers passed “An Act Relative to LGBT Awareness Training for Aging Services Providers.” The first-in-the-nation law requires that all state funded or licensed providers of services to older adults complete training in how to provide meaningful care to LGBT older adults and ensure that lesbian, gay, bisexual, and transgender (LGBT) older adults can access services. 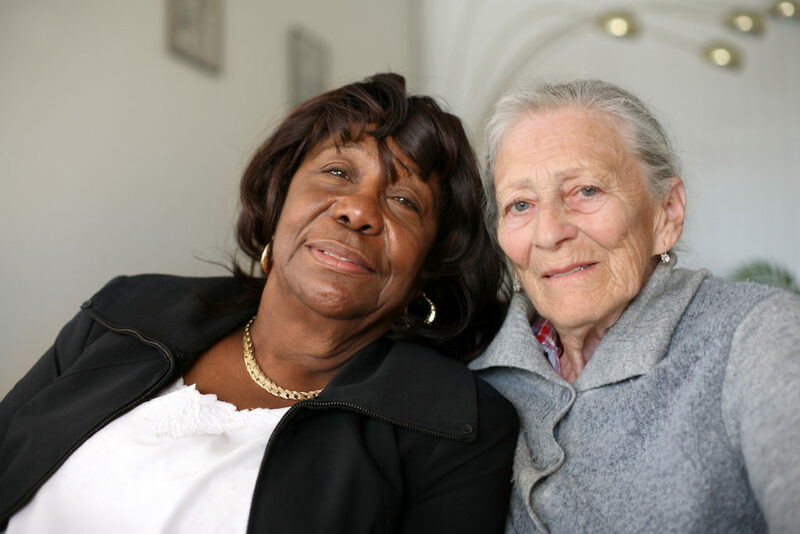 Fenway had long advocated in support for such reform, including by contributing data for a policy recommendations report issued by the Special Legislative Commission on Lesbian, Gay, Bisexual & Transgender Aging.